Aug 2 – Bl Peter Faber, SJ, (1506-1546) – The Renewal of the Church, Ecclesia Semper Reformanda Est | ADULT CATECHESIS & CHRISTIAN RELIGIOUS LITERACY IN THE ROMAN CATHOLIC TRADITION: hosting ONLY True Christians!! !, or "How to think Catholic!!" Peter’s last name, in addition to Faber, can be rendered Favre, Fevre, or LeFevre. My first-year…Wahoos (UVA) don’t say freshman, sophomore, …, etc. We are not one of those rah-rah institutions. Nonetheless, my first-year dorm at UVA was LeFevre dorm. Le Few, Le Proud, LeFevre! Peter Faber was born in 1506 in Villaret, Savoy in the south of France. As a boy, he looked after his father’s sheep in the French Alps. While tending sheep during the week, he taught cathechism to children on Sundays. Aware of his call to be a priest, he longed to study. At first, he was entrusted to the care of a priest at Thones and later to a neighbouring school at La Roche-sur-Foron. With the consent of his parents, in 1525 he went to the University of Paris. It was here that he discovered his real vocation. He was admitted to the College of Sainte-Barbe where he shared lodgings with a student from Navarre named Francis Xavier, and Iñigo of Loyola, a soldier twice their age. They became close friends and graduated on the same day in 1530 with a master of arts degree. Both Peter and Francis came under the influence of Igantius. While Peter taught Ignatius the philosophy of Aristotle, Ignatius directed him in the spiritual life. Ignatius helped Peter understand his soul. 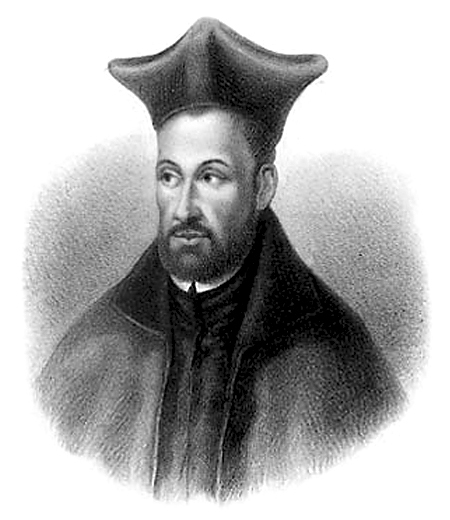 Peter made the Spiritual Exercises under Ignatius in 1534. Peter Faber had a gentle spirit and a tendency to be very hard on himself. Ignatius proved to be the perfect mentor for him, and Faber eventually became the master of the Spiritual Exercises. While hard on himself, Faber was gentle with others and became a gifted pastor of souls, winning others for Jesus. Rather than preaching, Peter was most effective in spiritual companionship and friendship of others. Peter was ordained priest in 1534, the first priest in Ignatius’ group, and was celebrant of the Mass on 15 August of the same year at which Ignatius and his companions made their vows of poverty, chastity and obedience, which, as a priest, Peter could receive. All had the intention of going to the Holy Land. Soon three more became members of the group. 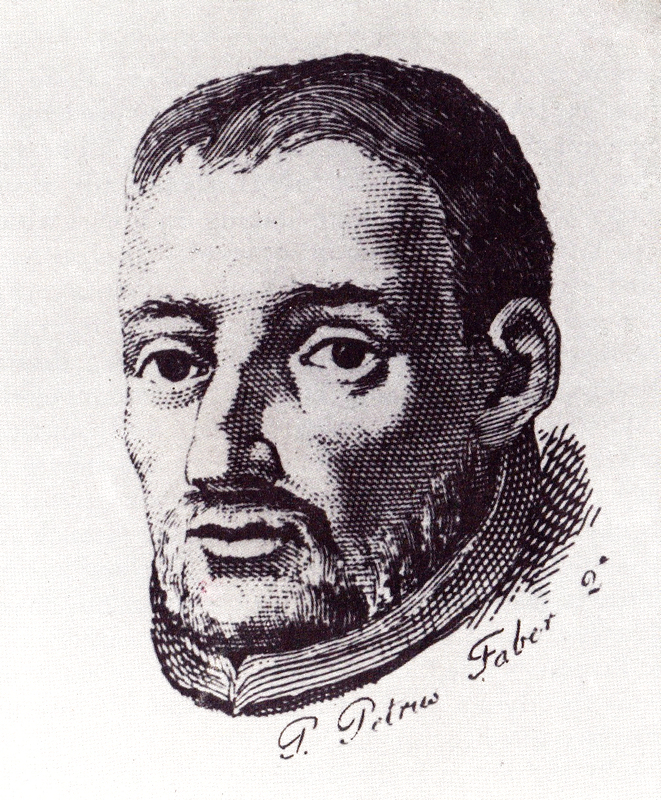 After Ignatius, Peter Faber was the one for whom the companions had the deepest respect because of his knowledge, his holiness and his influence on people. Leaving Paris on 15 November 1536, Peter and the companions met up with Ignatius in Venice in January 1537. They planned to evangelize in the Holy Land but the instability of the region made it impossible. So they now decided to form a religious congregation and went to Rome where the Society of Jesus was approved by Pope Paul III in 1540. After some time preaching and teaching in Rome, the pope sent Peter to Parma and Piacenza in Italy where he preached the Gospel with success. He was then sent to Germany to defend the Catholic faith against the Reformers at the Diet of Worms in 1540. From Worms, Peter was called to another Diet at Ratisbon in the following year. He was disturbed by the unrest caused by Protestantism but even more by the decadence of Catholic life. He saw that what was needed was not discussion with the Protestants but the reform of the Catholic Church, in particular, the clergy. He spent a successful 10 months at Speyer, Ratisbon and Mainz. He influenced princes, prelates, and priests who opened themselves to him and amazed people by the effectiveness of his outreach. In Germany, he found the state of the Church in such disarray that it left his heart “tormented by a steady and intolerable pain.” He worked for the renewal of the Church a person at a time, leading many in the Spiritual Exercises. Princes, prelates, and priests would especially find Peter Faber a gentle source of instruction and guidance leading to renewal. He was called to the principal cities of Spain where he did much good. Among the vocations he nurtured was that of Francis Borgia, Duke of Gandia, who, following the death of his wife, would become a Jesuit and later the third General of the Jesuits. Faber, still only 40 years old, was now worn out by his constant labours and long journeys, always made on foot. Pope Paul III wanted to send him to the coming Council of Trent as peritus, theologian of the Holy See, and King John III of Portugal wanted to make him Patriarch of Ethiopia. However, he only got as far as Rome on his way to the Council. Suffering from exhaustion, he always traveled on foot as a sign of evangelical poverty and humility, he developed a fever after his journey. He died in the arms of Ignatius in Rome on 1 August 1546. Peter Faber was beatified by Pope Pius IX in 1872. He is remembered for his travels through Europe promoting Catholic renewal and his great skill in directing the Spiritual Exercises. Faber exhibited a deep love for the Communion of Saints. As a lone Jesuit often on the move, Faber never felt alone because he walked in a world that bridged time and eternity, whose denizens included saints and angels. He would ask the saint of the day and all the saints “to obtain for us not only virtues and salvation for our spirits but in particular whatever can strengthen, heal, and preserve the body and each of its parts”. His guardian angel, above all, became his chief ally. He sought support from the saints and angels both for his personal sanctification and in his evangelization of communities. Whenever he entered a new town or region, Faber implored the aid of the particular angels and saints associated with that place. Through the intercession of his allies, Faber could enter even a potentially hostile region assured of a spiritual army at his side. Finally, Faber found support for his efforts with individuals through the assistance of the blessed. As he desired to bring each person he met to a closer relationship through spiritual friendship and conversation, he would invoke the intercession of the person’s guardian angel. Sounds like my kind of guy. 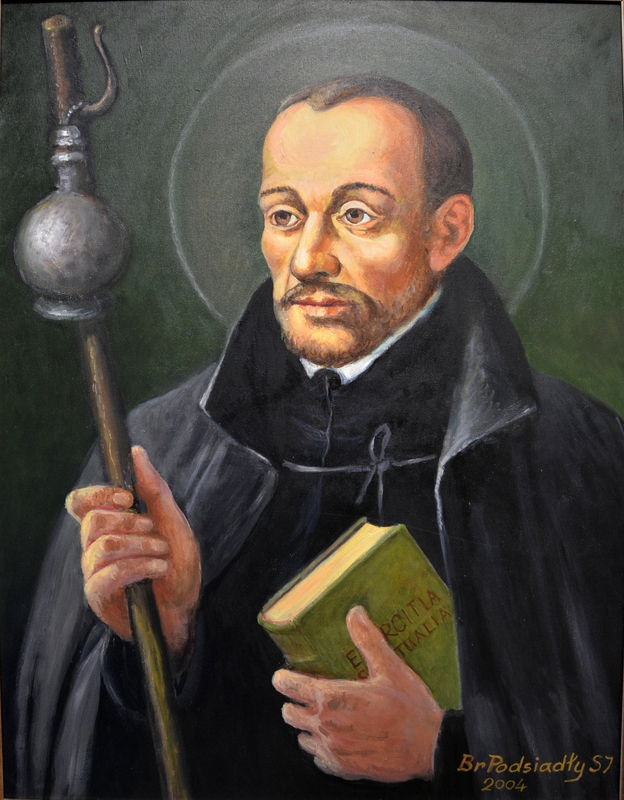 On July 17th 2013, Pope Francis issued a motu proprio to canonize Blessed Peter Faber, SJ,, the first companion of St. Ignatius of Loyola. When in 1622, Ignatius and Francis Xavier were canonized at the same ceremony, Peter was not included.